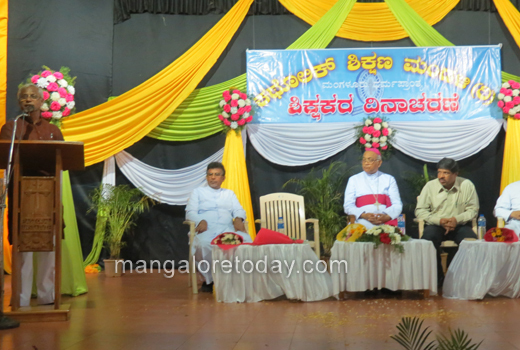 Mangalore, Sep 4,2017:Teachers Day celebration of Catholic Board of education of Mangalore diocese for its heads of institutions was held September 2, at Pastoral Institute Hall Bajjodi. 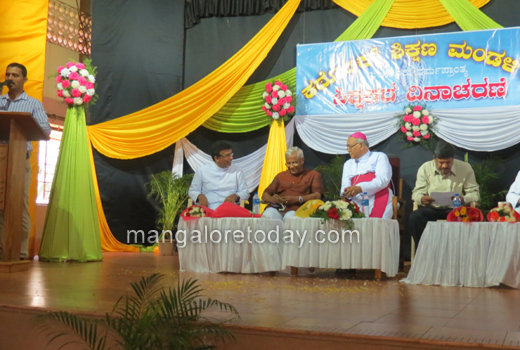 Rev Dr Aloysius Paul D Souza the president of CBE presided over the formal programme with MLA J R Lobo of Mangalore South, Y Shivaramayya DDPI Dakshina Kannada, Rev Peter D Souza Director Pastoral Institute and Rev Gerald D Souza Secretary CBE. Institutions which secured 100% results in the last public exams were honored on this occasion. The toppers in the last academic year in public exams were felicitated. 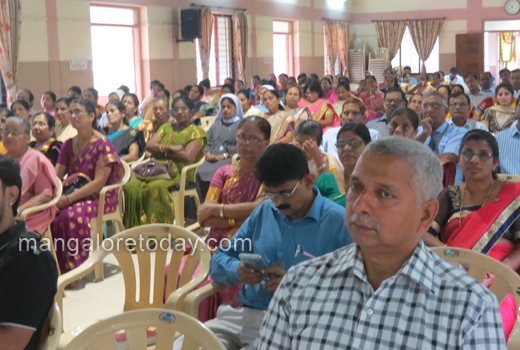 Teachers who would be retired in 2017-18 academic year were honored by the dignitaries. Speaking at the occasion MLA J R Lobo, appreciated the good work done by CBE and requested the management to conduct seminars on the awareness of various scholarships available for minorities. Mr Y Shivaramayya after receiving the honour , acknowledged the good work done by CBE institutions, and extended his support for the good of students. In His presidential address Bishop thanked the teachers for their meritorious services in the field of education and wished well to all the teachers. 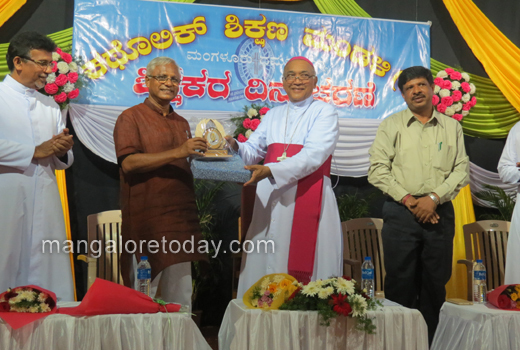 Bishop released a Audio CD “ Ninaada “ a production of Sandesha Foundation Mangalore, which consists of songs that are useful for welcome dance , prayer dances and for patriotic presentations.